The word’ prolific’ would simply not do justice to Frank Brangwyn for the volume of work he accomplished in his lifetime. 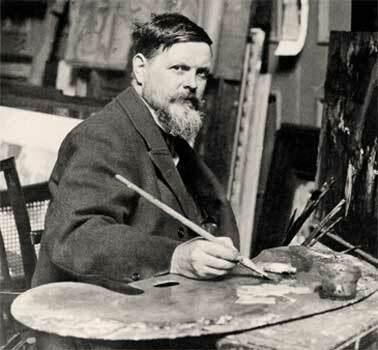 Frank Brangwyn, an Anglo-Welsh artist was born on Bruges, Belgium in May 12, 1867. In 1874 the family moved back to England. At seventeen, one of his paintings was accepted at the Royal Academy Summer Exhibition. He was largely an autodidact without a formal artistic education. Initially he painted traditional subjects about the sea and life on the seas. He travelled to Istanbul and the Black Sea, by working as a deckhand for his passage. He made many paintings and drawings, particularly of Spain, Morocco, Egypt, and Turkey. Brangwyn is best known for the British Empire Panels (1925-1932), 16 very large coverings originally intended for the Royal gallery at the House of Lords at Westminster but was refused because they were “too colorful and lively”. Along with Diego Rivera and Jose Maria Sert, he was chosen by John D. Rockefeller, Jr. to decorate the concourse of the RCA Building in New York. Brangwyn was an artistic genius. As well as paintings and drawings, he produced designs for stained glass, furniture, ceramics, table glassware, building interiors, lithographer, and woodcutter and was an illustrator of books. In 1941 he was knighted by the King of England. Frank Brangwyn died in his home is Sussex, England on June 11, 1956.